The Walnut Street Bridge is an old railroad bridge that has been refurbished into a pedestrian bridge. It was built in 1890 that measure 2,376 feet long, this is one of the "Longest Pedestrian Bridges in the World". 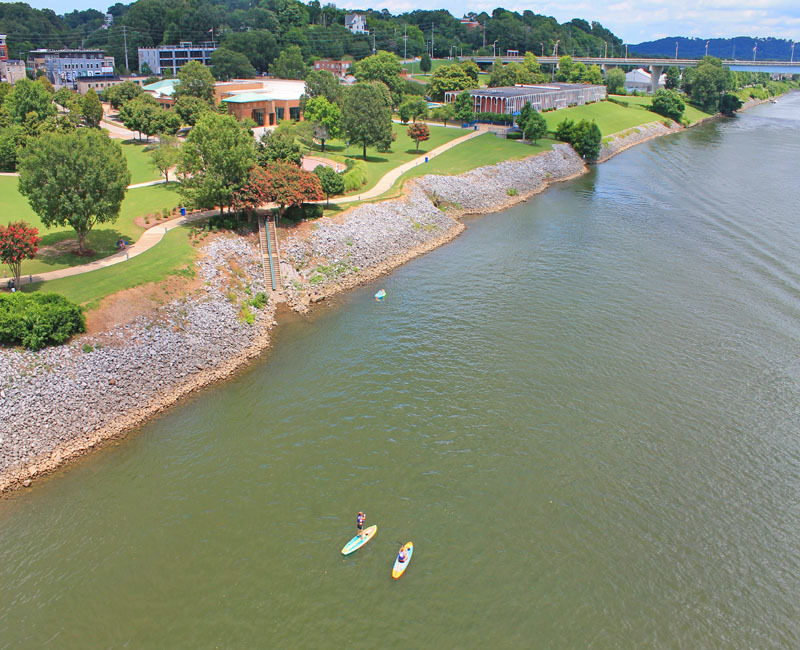 It connects Chattanooga's revitalized downtown with the now-thriving North Shore district across the Tennessee River. The views from the bridge of both shores and the river itself are simply beautiful and cannot easily be described -- you'll just have to see it for yourself! 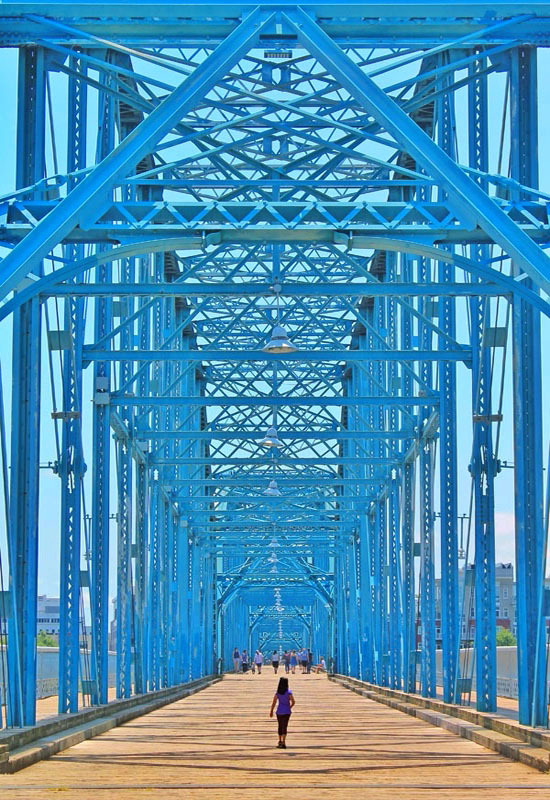 What's cool about the Walnut Street Bridge is its design which incorporates many iron trusses that form perfectly symmetrical triangles all around. The trusses were painted in light blue. The floor of the bridge is covered with wooden planks giving it a boardwalk feel. The bridge is wide and spacious a great way to get exercise, see awesome views, and enjoy Chattanooga. 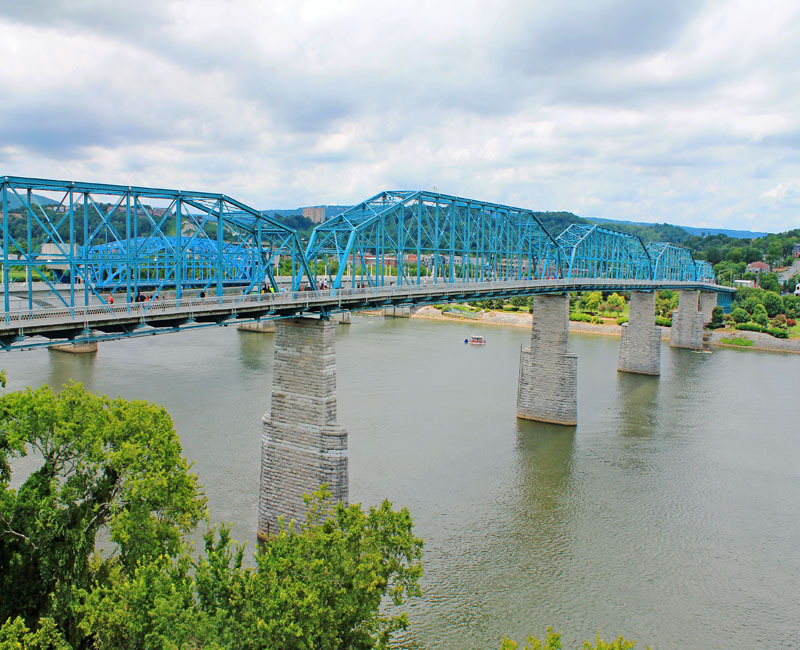 This bridge is a great way to cross Tennessee River by foot or bike. Perfect romantic walk either day or night. The Walnut Street side downtown has has numerous restaurants and shops. Also, there's a wonderful carousel and splash pad for kids. Underneath the bases of the bridge is a park called Coolidge Park. There are viewing benches, waste baskets, and even dog waste stations along the bridge. 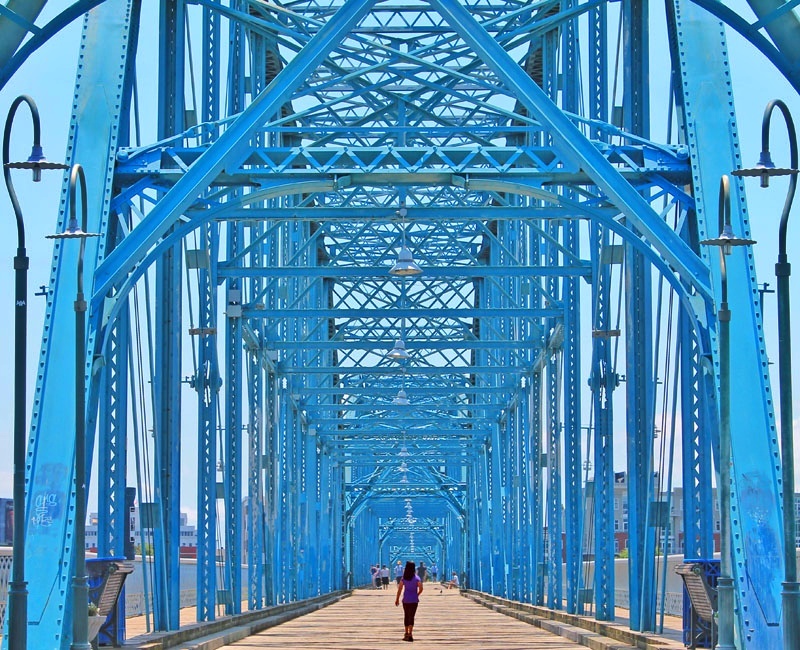 According to the Chattanooga Convention and Visitors Bureau, the bridge is the world's longest pedestrian bridge. The view from the bridge you can do kayaking or boating in Tennessee river. Stop by to the Museum if you have time. 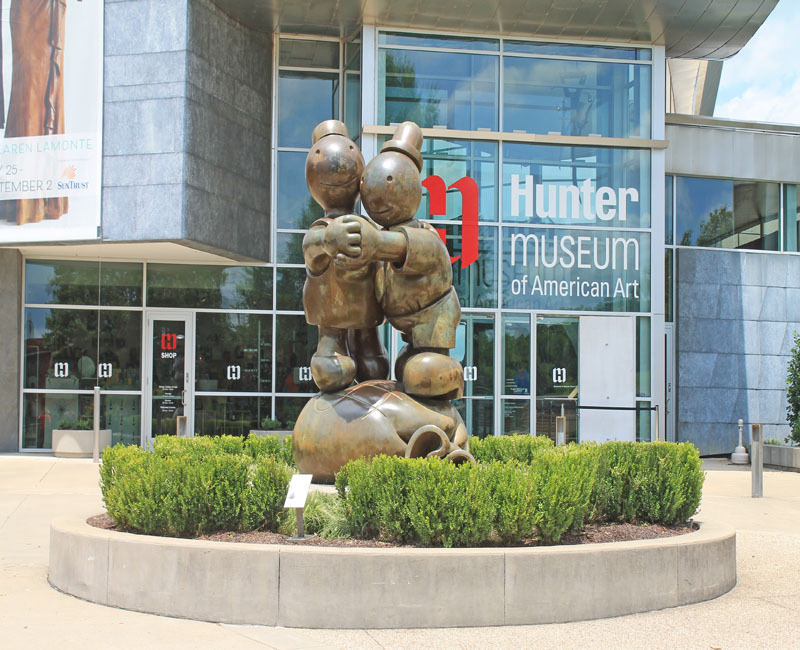 The Hunter Museum offers an American art from the Colonial period to the present day. 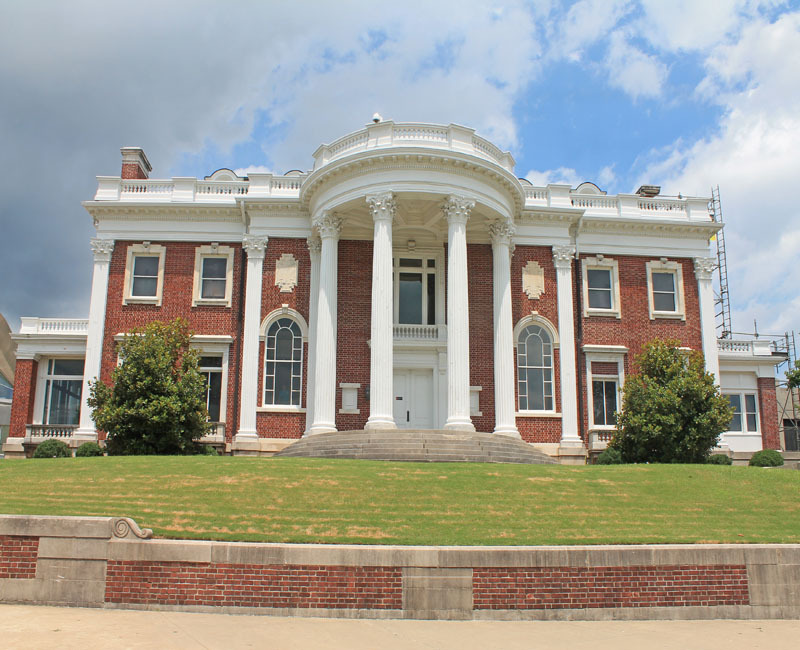 The museum is housed in an early twentieth century mansion, a modern 1970s era building and a sleek, contemporary structure of steel and glass. Kudos to Chattanooga for having all these great outdoor spaces and features. We had a great time exploring this city on foot! Hope you enjoy this attraction, feel free to share it and don't forget to follow us for more adventures. What a cool bridge! I would love to visit and cross it as well as take some amazing scenic photos the way you did! Oh this makes me want to visit! That pedestrian bridge looks adorable and would be cute for photos! 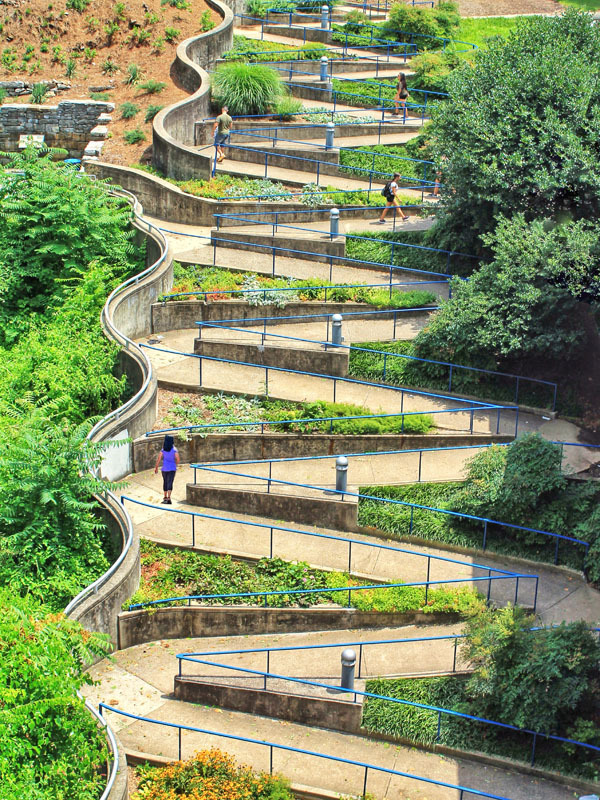 And that winding river walk looks like Lombard Street in San Francisco! San Francisco Bridges is way bigger than this but the views are equally breathtaking. I wasn't aware there was a walkway like that. Makes for great photo opps! I like how the city they preserve this historical bridge knowing this structure is more than 100 years old. The Walnut Street Bridge is beautiful with the color and design. I love older things that are used still today. I would enjoy the museum as well I'm sure and I like the look of the building. Same here I am always fascinated to historical architecture or structure that is well kept up to these days. I visited the bridge last summer when i was in TN. The view is so beautiful. I know right perfect for afternoon walk or night date time . That looks like a really fun walk! I love that little terrace too. 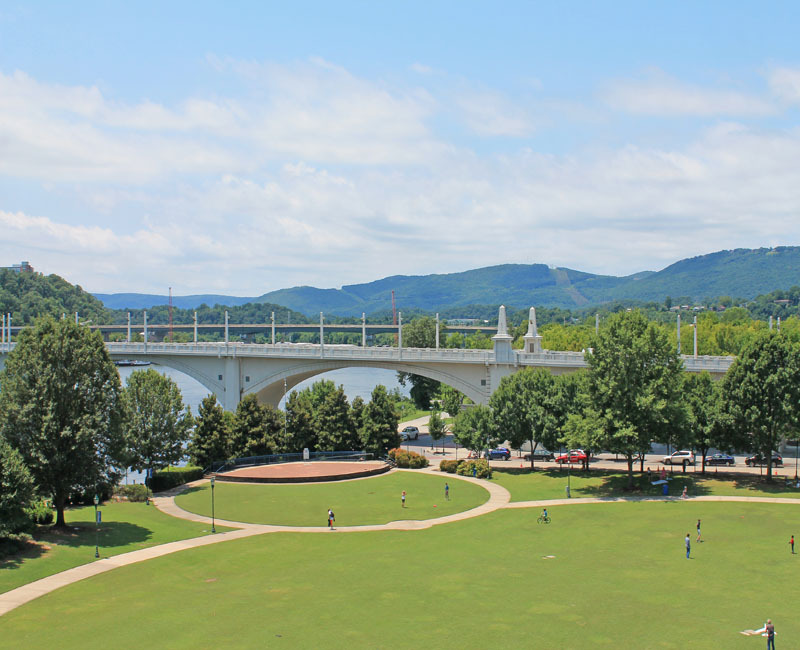 Chattanooga Tennessee is a cute city that has so many attractions for tourist and locals. I haven't been to Tennessee yet but it sure looks like a great place to visit. I hope you could visit someday I highly recommend this area which is closer to big city like Nashville and of course a couple hours away from great Smoky Mountain. Which is always pretty all year round. I bet my brother in law has been there. He used to live in Chattanooga. Chatanooga is so very beautiful. I wish I would have been able to see more of the sights when I was there last. This is a cool bridge, and I like that zigzag walkway :D It would be nice to have an afternoon stroll and sunset photoshoot here.